Groupon.com is having a Fresh Fall Finds Sale. The sale is available for 1-day only on Tuesday, October 2, 2018. 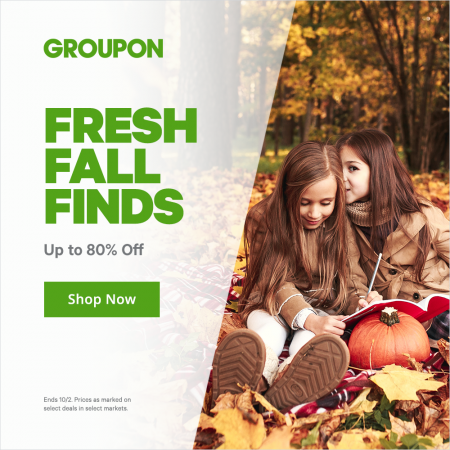 Click here to shop Groupon’s Fresh Fall Finds Sale.